Dubai: Properties in the Dh1-1.5 million range will be the new battleground as Dubai’s private developers take on the affordable homes’ initiative from master-developers. It will also mean that developers will have to be quick to acquire plots in emerging locations to ensure they can get their costs right. “The market is starting to see a younger demographic of buyers, those in their 30’s who want the convenience of city locations rather than move all the way to the suburbs,” said Farhad Azizi, CEO of Azizi Developments. “These are the people who are relatively new to Dubai and want to have deeper roots in the city — lenders are getting more comfortable with having loan exposures to this demographic. A debate has been set off with Dubai’s master-developers such as Dubai South and Emaar, as well as privately-owned Nshama aggressively pricing community-themed projects. In fact, it was the launch of two-bedroom villas at Dh700,000 at Emaar South that was the lightning rod for this. “There’s no need for developers to get into a price war — depending on the location of where they base a particular project, they can price according to the market,” Azizi said. “Dubai South offers such an option… a Downtown or a Jumeirah won’t,” he added. Azizi Developments instead is going in for a major portfolio at Dubai Healthcare City, until now preferred more for its offices and retail options. Azizi will have a development portfolio valued at Dh10 billion plus in 2017. Other developers too are sounding out the possibility of Healthcare City. The latest one to don a developer’s garb in the city’s property market — Shapoorji Pallonji (SP), which made its mark as a contractor — mentioned the location at the time of its launch last week. 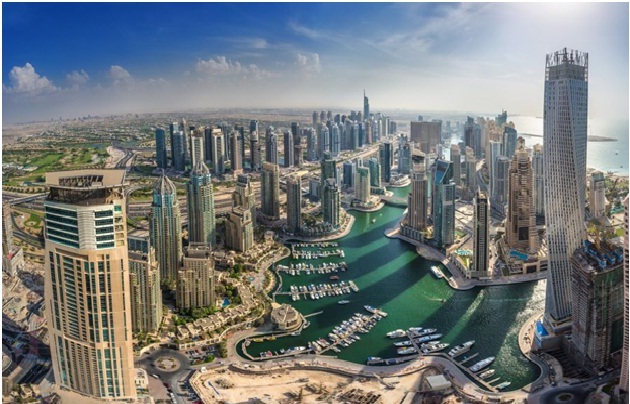 “Across many of Dubai’s new or emerging locations, the land prices are such [that] it becomes an attractive proposition to get in now rather [having done so] than three or four years ago,” said a top executive at the property arm of Shapoorji Pallonji. Market sources, meanwhile, say that land prices need to be in the Dh100-Dh150 a square foot range to make it worth the while of developers to price their properties at between Dh700 and Dh900 per square foot. According to them, the high cost of land is one reason why developers with ongoing projects in areas such as Downtown refuse to cut their prices and instead prefer to offer incentives such as extended payment plans extending to well after the handover. Amidst the general euphoria over master developers announcing affordable homes, market-watchers seem to have overlooked one detail — Cityscape Global 2016 did see its share of premium/super-premium launches. In today’s marketplace, a developer can opt for luxury only if he is sure of what he can offer. Otherwise, the master developers will call all the shots. Or they can hope to do better in the mid-market space. Dubai: The global wealthy are not cooling off on stacking up Dubai realty purchases. Last month, estate agent Luxhabitat confirmed it sold a penthouse at the Palazzo Versace for Dh20 million. “Penthouses are in demand because most of the developments are very exclusive — meaning that there is a limited amount of apartments in the same building,” said Alexander Von Sayn Wittgenstein, luxury sales director at the firm. For anyone who feels Dh20 million is too steep, here’s another number to focus the mind on — Dh181 million. That’s the asking price for a seven-bedroom, 25,000 square feet penthouse at The One on Palm Jumeirah. Any takers? Other high-end off-plan developments with penthouse options are The 118 — at around Dh60 million for the priciest — in Downtown Dubai, Alef Residences and Volante.